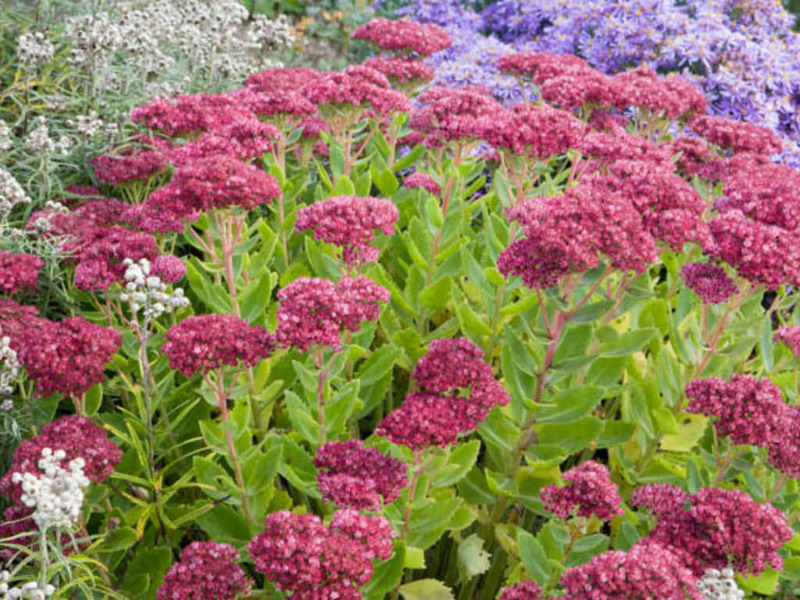 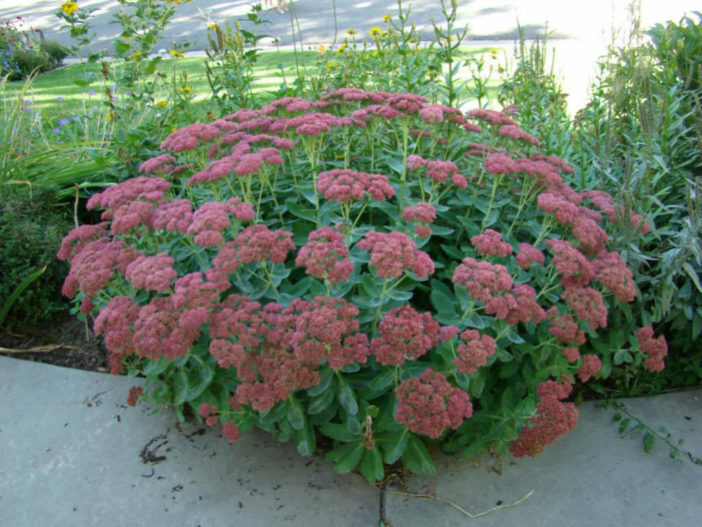 Hylotephium spectabile ‘Autumn Joy’, formerly known as Sedum spectabile ‘Autumn Joy’, is a succulent perennial up to 24 inches (60 cm) tall, that has up to 2 inches (5 cm) wide cabbage-like rosettes. 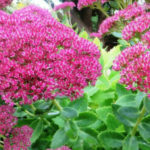 Leaves are succulent, pale blue-green, ovate, up to 4 inches (10 cm) long and up to 2 inches (5 cm) wide, held from later winter to fall. 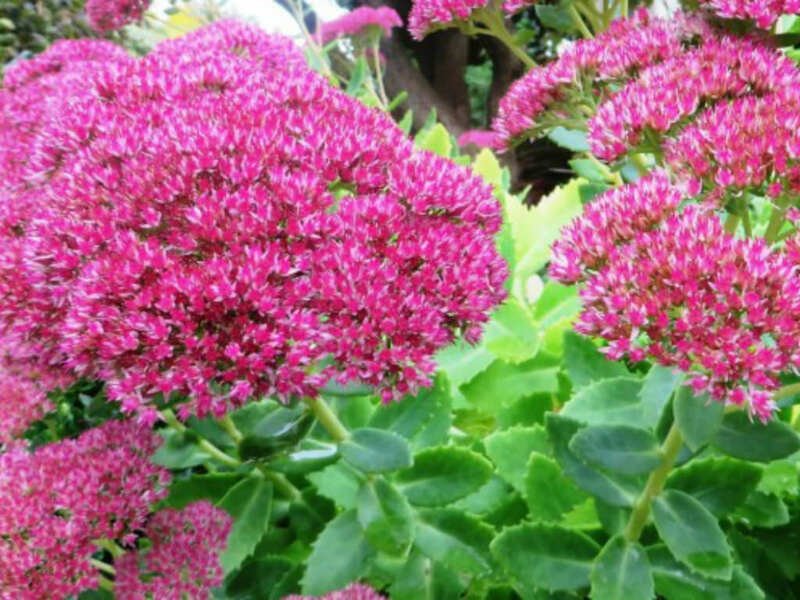 The flowers open from greenish-pink buds, rapidly progressing through pale pink to become dark pink and ultimately taking on a brownish hue. 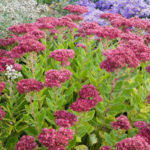 Hylotelephium ‘Autumn Joy’ is a popular cultivar of Hylotephium spectabile, twice granted the Award of Garden Merit by the Royal Horticultural Society.